Market research institute Statista recently shared the findings of German Federal Office for Radiation Protection (Bundesamt für Strahlenschutz). It includes a comprehensive list of phones tested for the level of radiation. Out of the huge line-up, some of the worst offenders turn out to be my favorite phones. It is surprising how almost all the top spots are taken by Xiaomi and OnePlus devices. 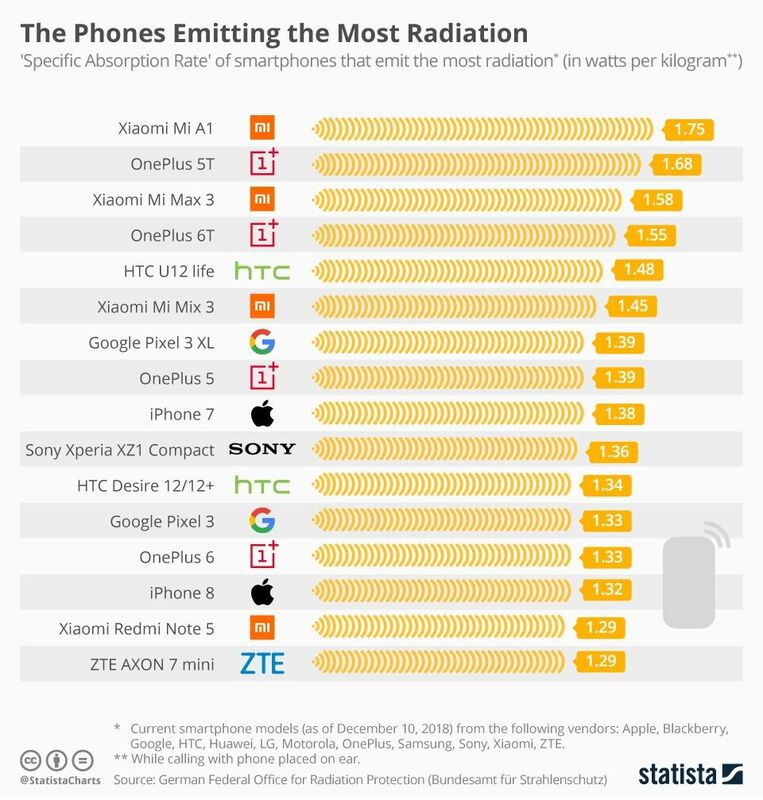 As per the lab tests conducted by German authorities, the Mi A1 emit the highest level of radiation at SAR (Specific Absorption Rate) value of 1.75 W/Kg (Watts per kilogram). Next up is the OnePlus 5T with SAR value of 1.68 W/Kg. For the uninitiated, SAR denotes the rate at which a human body absorbs radiation when exposed to a radio frequency electromagnetic field. Germany advocates the specific absorption rate of less than 0.60 watts per kilogram. And even if you take India’s generous permissible level of 1.6 W/kg into consideration, these two handsets exceed the SAR levels in the country. Please don’t check your phone’s SAR value by typing in *#07#. Reported by the manufacturers, these numbers are mere claims. There’s a good chance that the actual values found by the independent lab tests will be different. According to a research published in the Journal of the American Medical Association, talking on phone for over 50 minutes affects the brain activity. While the jury is still out on the negative impact of this, it is better safe than sorry. So, to save your head from receiving large doses of radiation, a simple but effective way is to use a wired earphone. This way, your head doesn’t come in direct contact with the phone. 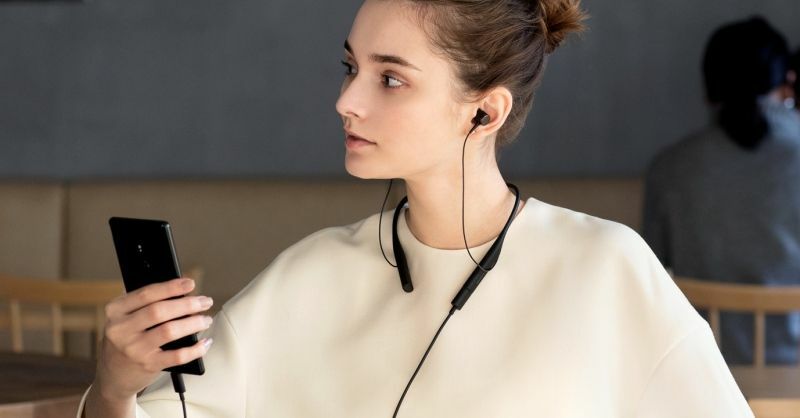 You may also consider Bluetooth earphones, but many researchers believe that they are not entirely safe. Bluetooth devices also emit RF radiation after all. 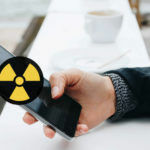 Multiple studies and experiments carried out by organizations including the National Center for Biotechnology Information, University of Exeter, and Central European Journal of Urology have found a link between mobile radiation and deuteriation of sperm quality. It doesn’t take a genius to figure out that keeping a mobile phone in your pocket can speed up the infertility process. An easy solution is to keep your phone in a backpack. 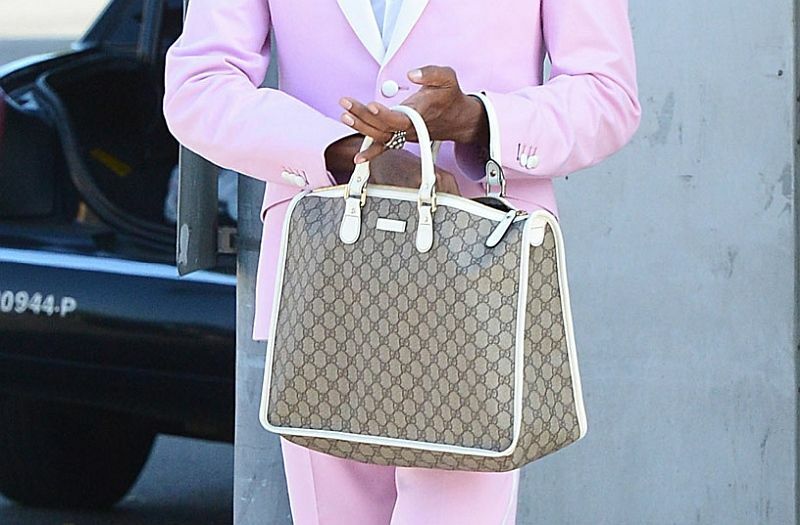 Another option is to carry a man purse, also referred to as a satchel. But, once you are spotted with that, you are unlikely to get laid. To avoid that, I suggest carrying the phone in hand and placing it on a desk or table whenever possible. As mentioned earlier, your phone’s radiation may vary according to the situation. For instance, if the cellular connection is weak, the phone will try hard to connect to the mobile tower. This effectively means that a handset emits higher electromagnetic radiation in weak signal scenario just to maintain the connection. 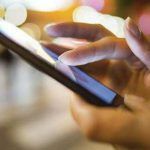 As a precautionary measure, it is ideal to avoid using phones in basements, lifts, and other similar places where the mobile network is quite weak. 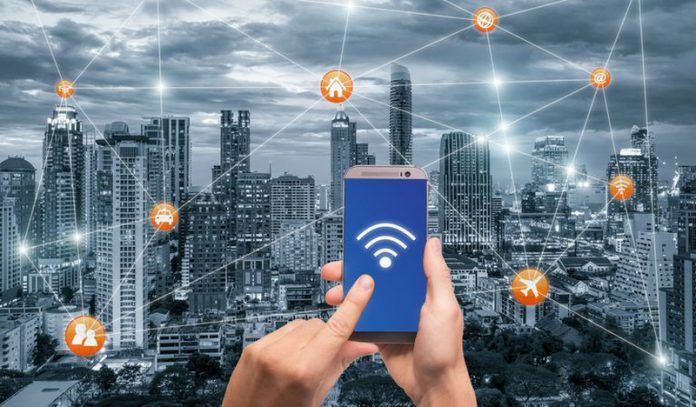 If your house falls in a weak network patch, installing signal boosters may save you from radiation as this specialized equipment amplifies the existing mobile signal so that your phone doesn’t have to use more power to remain connected. Chandrakant is a sci-fi movie aficionado and wannabe space explorer. He writes about consumer technology for bread and butter. He has worked with some of the esteemed publications like PCMag, TechTree, Asian Age, Deccan Chronicle, NDTV Gadgets, and more.